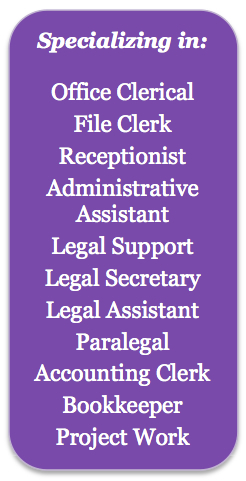 Dependable Personnel's original mission was to assist the Tucson legal community in their staffing needs. Their focus has since expanded to also serving the Tucson corporate community. Ms. Warren has kept her agency small, specialized, locally-owned and operated in order to better serve the local community. Dependable Personnel is committed to providing personalized service to both our clients and our job seekers in making exemplary matches. We pride ourselves on fully screening our prospective job seekers and ensuring that our clients' specific requirements are met.